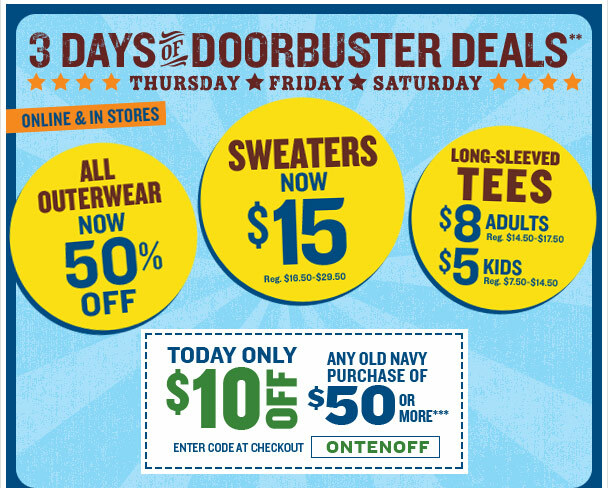 Old Navy is having a Door Buster Sale Deals Thanksgiving Thursday, Friday and Saturday only. Did you know that Old Navy is part of the Gap? My guess is that you id know... Read more news about the Gap. Learn about The GAP and The GAP Inc.